Non Contact Digital Infrared Forehead Thermometer - CE/FDA Approved, Clinically Tested, Safe for Kids and Adults..
Specifics/Features — Instant non-contact temperature scanning with just push of a button.. Safe for both kids and Adults.. Recommended by doctors and pediatricians.. High definition backlight LCD screen display for easy readings.. 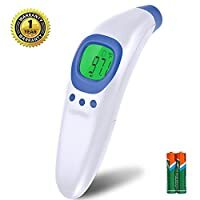 Warning Fever alarm beeps when temperature exceeds 100.4℉/38℃.. CE and FDA Approved Thermometer.. Powered by two 1.5V DC AAA batteries.. Automatic switch-off function.. 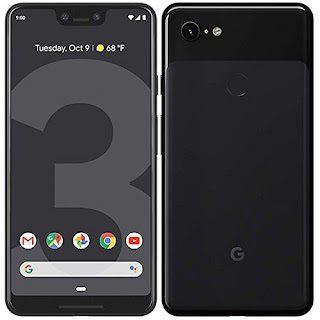 Temperature Unit: Celsius(℃), Fahrenheit(℉).. Measuring range: 32℉~212℉/ 0℃~100℃.. Upto twenty readings memory recall.. and more..